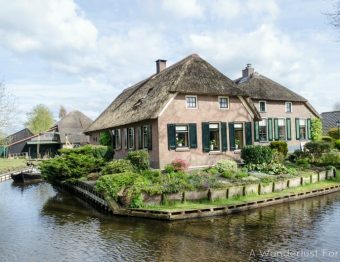 Edam is just a quick day trip from Amsterdam and it so charming! 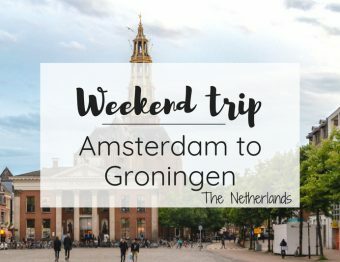 Day trips are fabulous because you can be somewhere awesome, like Amsterdam and be so close to many other experiences. Spending time in one place, only to be able to discover some other really amazing but totally different places, is so much fun. I feel stimulated, excited, and eager to see something new when all the “must-do” things have been done. The Netherlands now has a super special place in my heart. It’s home. It’s more comfortable than I could have ever imagined. Even with a country so small, there are so many different experiences to be had. Amsterdam has its own amazing and wonderful culture. The Hague has a completely different vibe. And the absolute charm of Giethoorn is something to be experienced with its postcard-perfect scenery. My expat journey included finding places that make my heart happy. When I discovered the small town of Edam, I couldn’t stop smiling. It was so cute, I just wanted to pick it all up and take it with me. Yes, I realize how irrational that sounds. It’s an old fortress town that has been able to keep its quaint and adorable feeling throughout the times. 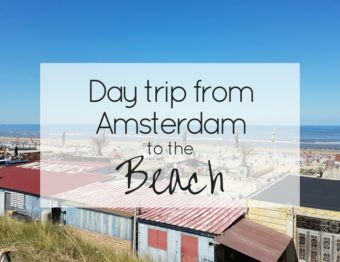 It’s the perfect place to hop on a bus from Amsterdam with your day bag, water, snacks and of course a camera. Maybe an umbrella too. You never know! Yes, it was a gloomy day, but in person, it’s still a wonderful and happy place to be. I don’t overly edit my photos, so it’s as real as possible for you to experience. I promise that we do have sunny days in Holland too! Edam is only about a ½ hour bus ride (depending which bus you take) from the Amsterdam’s Centraal Station and costs under 5 euros each way. So it’s a super fast and quick day trip from Amsterdam. I definitely suggest that you grab an anonymous OV chipkaart (a transportation card) that you refill as you go. You can find where to buy them here, or just go to the tourist office in front of the Centraal Station. Then you can easily refill the cards at any station with the big yellow machines. If you want to spend the night in a super unique room in Edam like I did, check out L’Auberge Damhotel Edam which is right in the middle of the old town. Not a hotel you’ll soon forget! Edam is a pretty small place and walking around the town center is very easy. It’s the perfect place to just wander and weave through the small streets and waterways. Edam is a very Instagrammable place…if you’re into that sort of thing 🙂 And plenty of shops are in the town center with lots of goodies to eat, drink, or take home as souvenirs. Between taking photos, taking in the atmosphere, and window-shopping (or real shopping), it’s a great day out! Walking around might sound boring for those of us who want to go-go-go and do-do-do, but every once in awhile, I think we all need to stop and smell the roses-or tulips-a bit. Take in the scenery. Find a spot to just imagine what life is like for those who live there now…and what it would have been like in the past. What do you think your role would have been back then in a town known for cheese? I’m thinking quality control. Visit the cheese market! Is it touristy? Yep. But it’s also history. To see the old-fashioned outfits, and hurried pace of a cheese market from the past, be sure to visit on a Wednesday in the height of summer at 10:30 am. All the specifics are on the tourism site (in English) so you can confirm everything is still the same! Side note: Blogs are awesome for inspiration and tips, but personally, I always check the local tourism site just to confirm everything. I highly suggest doing this too! And of course, it just wouldn’t be me if I didn’t recommend getting on a boat. Seeing the town from a different perspective is always a bit more interesting in my opinion. The tourist office runs a boat and for 6 euro a person, it’s a pretty great deal! Did I mention that you should eat cheese? No? Well, DUH! You’re in Edam. Of COURSE, you should eat cheese. Many places give you samples and you should try them all! I found flavors I didn’t even know I liked because I had the chance to give ‘em a try. Recommended souvenir from Edam: It might be cheesy, but honestly, grab some cheese! Be sure to ask if you will be able to take it back to your home country. Since I went to Edam on my own, I’m already planning a trip back with Sean! I loved it that much. And to go that extra mile, we are going to bike there. It will be about an hour, but we bike regularly, I don’t think it will be too bad. Still, good vibes and wishing us luck is always appreciated. Hoping for no flat tires! What do you think…what is a cool day trip you can do from where you are? We are all a local somewhere! Share your tips for your town or city so we can all discover corners of this amazing world. Born and raised Dutch, been living in The Netherlands all my life (except for studying in Spain for a while), traveled all around the world… and I have never visited Edam. Can you believe it! (Mind you, I don’t like cheese… yes, shock horror!). The place looks beautuful, so well… erh, Dutch! 😉 Beautiful photos! We tend to miss what’s so close but hopefully, this inspires you to go for a visit! Where is your favorite spot in the Netherlands? It really is a cute quaint place. I think you will love it! I’ve never been to Edam, but now I’m very likely to visit. Good luck biking there! So happy to hear that! It’s a quick bus too if I chicken out. But I think I can do it! Think you will bike there? I know you can make it! Such a quaint and picturesque town. I definitely want to visit the cheese market. Yum, yum. just love reading your blogs. I feel like I am experiencing what you are and am planning to follow in your footsteps one day. Your photos are beautiful and I can relate to your experiences. Keep up the great work. That is so great to hear! Err, um, read 🙂 If you do get to follow in my footsteps, definitely get in touch! Don’t you worry…I’ll keep exploring and sharing! Oh it looks like such a picturesque little town! I’m a big fan of the herb cheese in the Edam style. The cheese shops are so cute and I love all the samples I get to taste! I’m sure you’ll enjoy it when you visit. Then you must go! I may join you 🙂 I’m kind of in love with Copenhagen too and I want to go back. 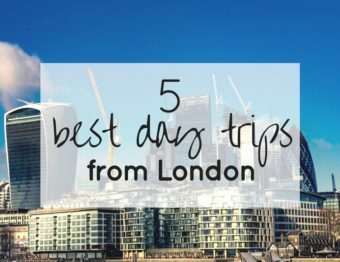 Thanks for these tips, I will definitely check them out when I’m back! Sounds so odd but I hadn”t even heard of the town of Edam, even though I love the cheese :). It looks super cute. When I go to Amsterdam I will make some time to go there. No worries! Now you have 🙂 It’s such a quick trip that I really hope you do take some times to visit when in Amsterdam. People think of so few things when they visit, but there’s so much more! 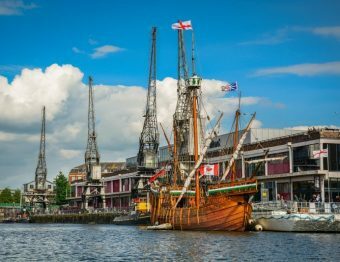 Loved the pictures, it looks so painteresque!, cant wait to go !, and eat some cheese! I am a cheese lover! I’ve grown to enjoy more kinds of cheese since moving to the Netherlands. Glad to hear you like cheese too! Very instagrammable indeed! What a great find. It looks like a great place to bike and awesome that it’s so close to Amsterdam! Agreed! Someone with better skills than me could spend days here and get tons of perfect photos! What a delightful piece about what looks like a glorious day trip. What flavours of exam did you get to try!? I am intrigued (love a bit of Edam). I am off to King’s Day next April and I was thinking about exploring some more f Holland. Edam has definitely made the list. I tried most of the ones offered, but my favorite was the herb one! So much flavor! Honestly, I haven’t heard that joke before and now I’m going to steal it! Wow, I love your unique perspective on such a touristy area. This looks like such an amazing town that seems to be overlooked by tourists. Your story about following your wishes for a European lifestyle are inspiring and I love the way your blog is put together. Thanks for sharing! I’ll make sure to add this to my European itinerary and maybe stop by for a visit! Thank YOU for your kind words! A little luck and a lot of work goes a long way to make things happen 🙂 I highly suggest you spend at least a week in North Holland. Aside from Amsterdam, you have Haarlem, Edam, Zandvoort (for the summer! 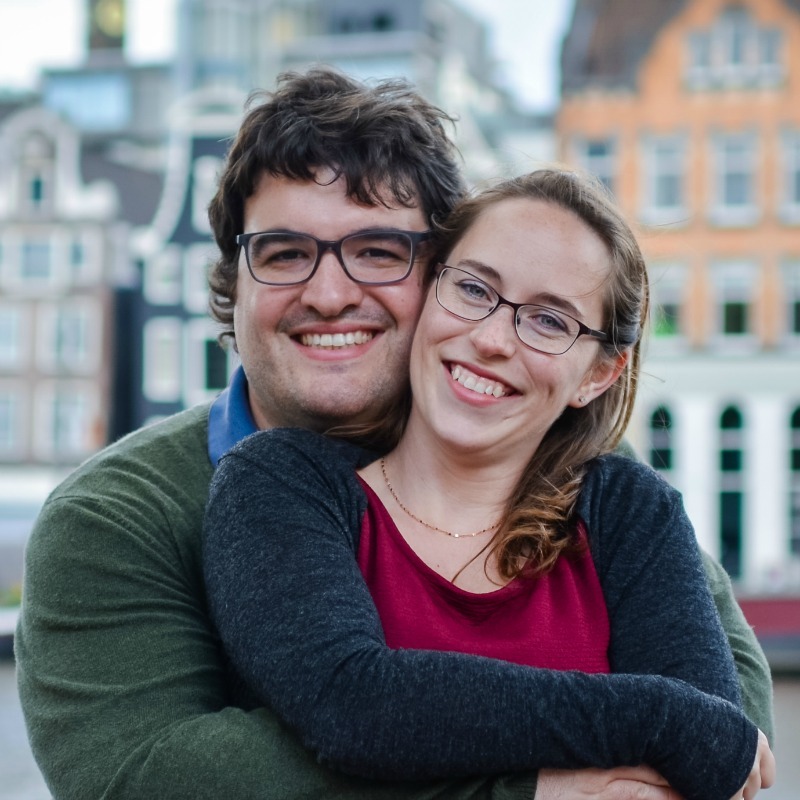 ), Utrecht, and so much more! Hi Jessica, I love the blog you wrote about Edam! 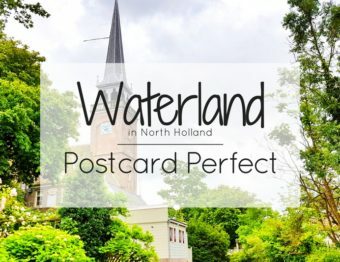 We do the promotion for the area, but of course personal blogs are the best! Edam is absolutely beautiful, I am glad you did enjoy it! Kind regards, Shirley from Bureau Toerisme Laag Holland. Hi Shirley! I am so sorry that I missed replying to you earlier. But I am so glad you enjoyed this post. Shortly after this post, my husband and I went up by bike from Amsterdam Noord. It was a great ride but it’s always great to know there’s a quick bus from Centraal as well 😉 We’ll be back again.